The Patron Frame is an elegant frame that combines smooth and graceful designs with up to the minute technical concepts. Despite it's roots as our street weapon, the Patron is made to shred any terrain, and has everything a modern rider is looking for including a higher stand over height, tapered tubing and and special cnc machined dropouts designed to fit pegs and hub guards perfectly even when slammed. 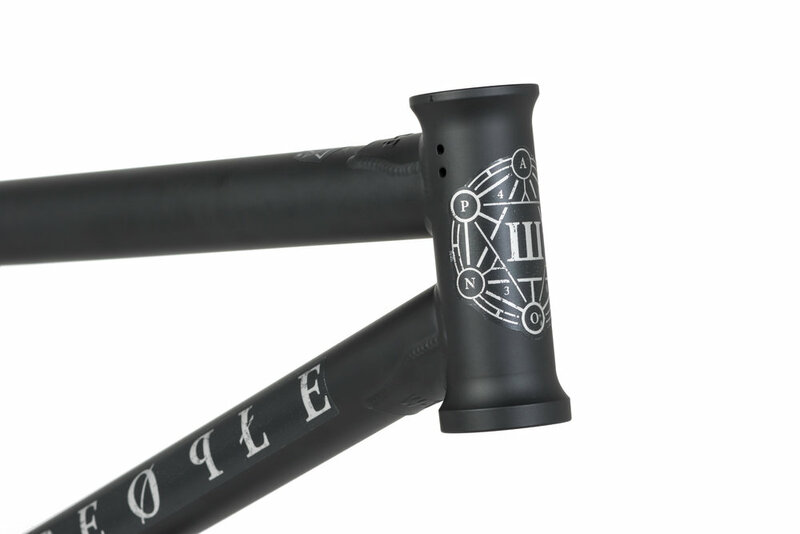 The Patron frame was designed to be responsive and agile, so for 2017 we shortened up the chainstays to 13" (slammed). If that's too short, you can also run your wheel one half-link longer at 13.25", and not have to worry about your pegs or guard not having adequate contact with the dropouts. The dropouts on the Patron are 6mm thick and CNC machined out of 4130 chromoly, and then heat treated for extra strength. To combat a lot of issues that street frames traditionally suffered from, we use a special dropout shape on the Patron that is designed to give ample room for hubguards and line up perfectly with pegs, even when at the slammed length of 13". With the Patron being designed with strength and durability in mind it was only natural that we re-enforced the headtube with a gusset on both the toptube and downtube. Paird up with a 75 degree headtube angle, the Patron is built to take a beating on the front end. You'll find a much thicker plain gauge (pg) downtube on the Patron compared to the rest of our frames.. This unique feature makes the downtube much more resistant to denting and will help prolong the life of your frame if you are particularly hard on frames and not shy of landing on the downtube from time to time. Taken back to the drawing board and improved upon every year, the Patron is a frame which has moved with the times, and now in it's 5 year, our team steed could not be any more perfect for todays rider. The choice of many of our pro team, this is one frame that will stand up to whatever you want to put it through. The chainstay length was based around 25-9 gearing (what most of the riders on the team are running), and the new dropout design allows you to run the rear wheel at both 13" and 13.25" comfortably with perfect peg/hub guard alignment depending on your personal preference. "I've ridden the new Patron frame, for over a year now, this thing is awesome. I really like it! It’s got a short 13” slammed backend, tall 9” standover, and most importantly it’s long enough for a big German guy like myself. 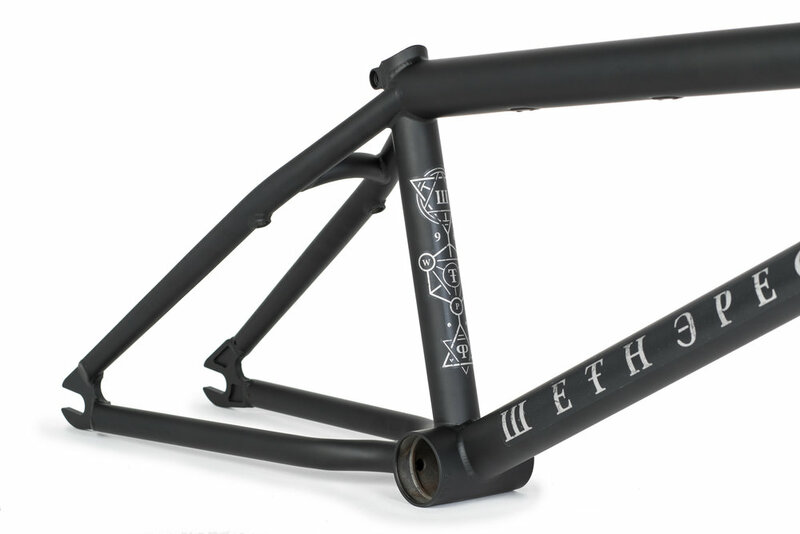 The frame is a stripped down version of the other WTP frames to make it just as strong, but more affordable which is always good. I’m a tall guy so I need a tall bike with a good standover height. I like my bikes to be long in the front, but short in the rear so they are nice and responsive. The Patron is perfect for this." The Patron frame is available now worldwide in both Translucent Blue & Matt Black in 20.5", 20.75" and 21.15" toptube lengths. 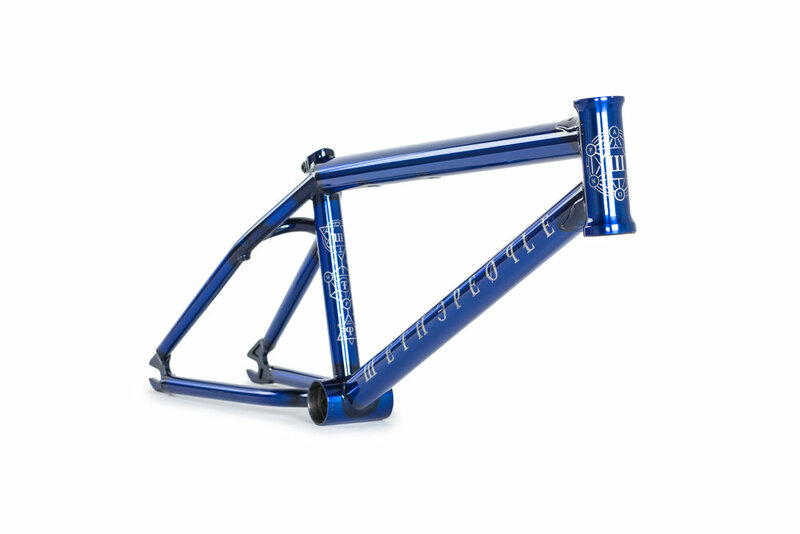 Go hit up your local Wethepeople dealer today to get your hands on our most progressive street frame yet. We are so confident in the strength and durability of our frames, that the Battleship frame is backed by Wethepeople's LIFETIME GUARANTEE.